Story Contracting are thrilled to have been shortlisted for ‘Best Small Project’ at this year’s Network Rail Partnership Awards. These much coveted awards represent collaboration and quality of service; something that Story strongly believe in. 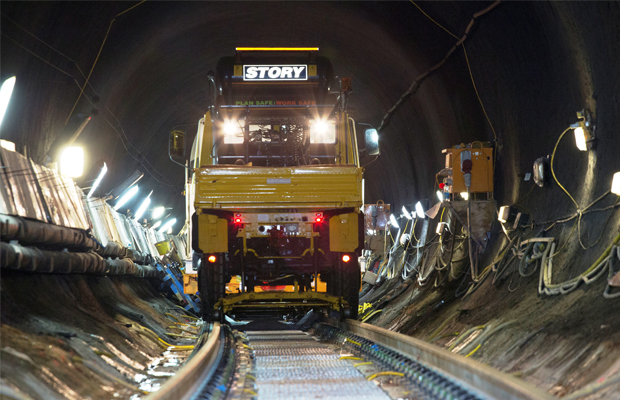 Story Contracting were nominated in the Small Project category for extensive work with Network Rail on the underground Merseyloop tunnel in Liverpool. This category features projects that have helped deliver a safer, more reliable railway with greater capacity and efficiency whilst demonstrating a solid partnership between all parties involved. The eight-week Merseyloop project was a huge success and lessons-learnt have transformed some Story’s procedures moving forwards. Winners for Network Rail’s Partnership Awards will be announced at an awards ceremony in July.